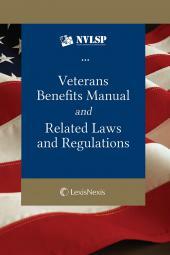 Covers the legal issues that are either affected or created by military service or veteran status. 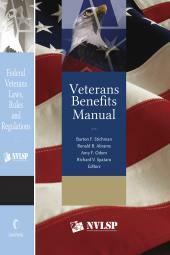 Designed for the busy practitioner, Servicemember and Veterans Rights contains Practice Notes setting out important take-aways and practical implications. For further convenience, longer sections are broken into subsections and make use of lists and bullet points. These user-friendly features will help you find just the right information quickly and easily. 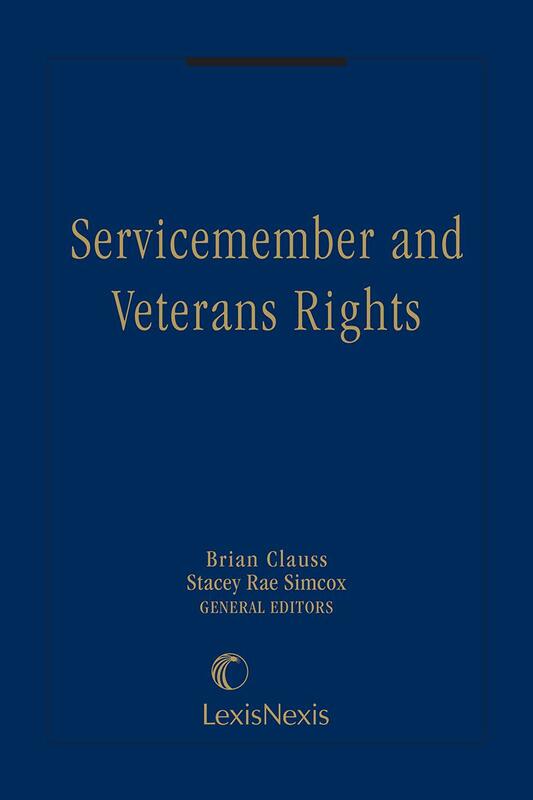 • Chapter on TriCare and SGLI providing an important understanding of these principles and ensuring that Servicemembers, Veterans, and insurable dependents understand their rights, obligations, and privileges regarding TriCare and SGLI and SGLI related benefits (Chapter 5). Brian Clauss is the Executive Director of the Veterans Legal Support Center and Clinic at the John Marshall Law School in Chicago—a pro bono legal clinic that provides assistance to Veterans in VA benefit appeals and other legal matters. The John Marshall Veterans Legal Support Center and Clinic assists hundreds of veterans every year through in-house attorneys, clinical students and a trained pro bono network of over 350 volunteer attorneys. The VLSC also works closely with other law schools in establishing and running their veterans clinics and frequently hosts faculty and students interns from those schools. Brian is a graduate of Lake Forest College and the John Marshall Law School and was a county prosecutor in Chicago, prior to starting an alternative dispute resolution practice. He serves on a number of neutral rosters including: the Federal Mediation and Conciliation Service, American Arbitration Association, National Mediation Board, National Railroad Adjustment Board and numerous local rosters and permanent panels. Brian is a frequent lecturer at local, national and international continuing legal education events and has written over twenty chapters and articles for publishers such as the American Bar Association, the Bureau of National Affairs, LexisNexis, the Illinois State Bar Association, the National Academy of Arbitrators, the Labor and Employment Relations Association, the Illinois Institute of Continuing Legal Education, Random House Publishing and other legal publications. He is a member of the National Academy of Arbitrators and is the Regional Chair for the Central Midwest Region. He is a Board Member of the Chicago Chapter of the Labor and Employment Relations Association and a member of the Alumni Board at Lake Forest College. Professor Simcox is the Reporter to the Uniform Law Commission’s Veterans Court Act Committee. 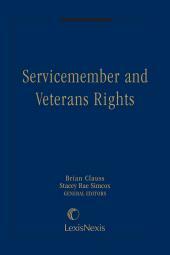 She is a founding member of the National Law School Veterans Clinic Coalition. She has testified before the Department of Veterans Affairs Advisory Committee on Disability Compensation and has spoken to media including the Associated Press, NPR, and MSNBC. Professor Simcox has also presented before the National Conference on Law Clinics Serving Veterans, the Court of Appeals for Veterans Claims Judicial Conferences, the American Psychological Association, the AALS Annual Meeting, the AALS Conference on Clinical Legal Education, and at multiple task forces and CLE’s. 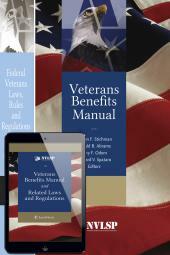 She has numerous publications in the area of veterans law and veterans benefits practice.